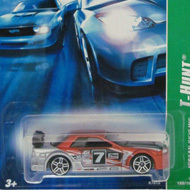 The 2007 regular set has 12 vehicles. 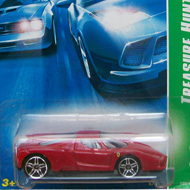 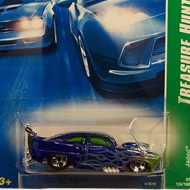 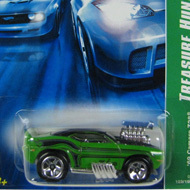 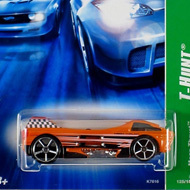 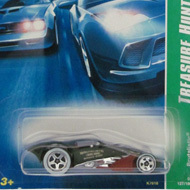 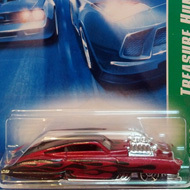 Each can be recognized by a card that has a vertical green stripe with “TREASURE HUNTS” or “T-HUNT®” and the car’s name. 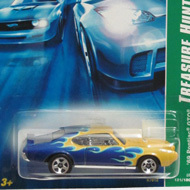 4/12 from the 2007 Treasure Hunt series. 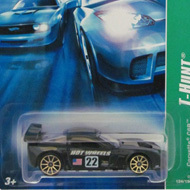 The black C6R features the U.S. flag, “Hot Wheels”, “22”, and a variety of logos…. 10/12 from the 2007 Treasure Hunt series. 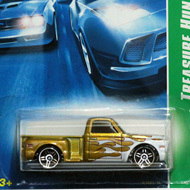 The metalflake gold truck sports with white and brown flames on the hood and sides….